Florida International University (FIU) is seeking commercial partners interested in developing technologies for capturing carbon dioxide (CO2) from blast furnace gas while simultaneously producing hydrogen gas and generating electricity. Most of the available techniques for CO2 capture are solvent-based and suffer inherit limitations and impediments. The existing technologies are unfavorable due to high raw material cost, severe energy penalty costs, requirement for several pretreatment steps prior to carbonation process, corrosiveness, and fast degradation of the sorbent. 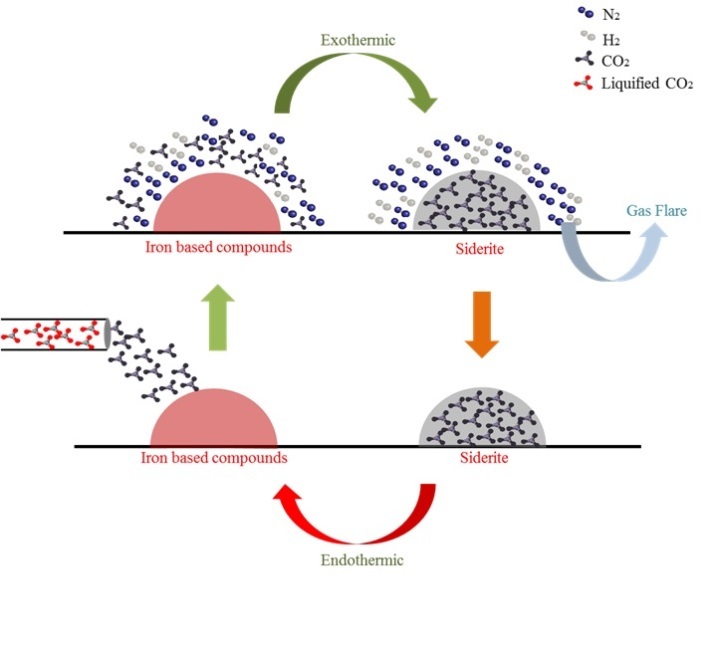 Researchers at FIU have proposed a new method able to bypass these limitations for carbon capture by using sorbent, which is readily accessible at any iron and steel industries. The suggested process is also easy to retrofit and thus does not require any severe modifications to the conventional system. The proposed process generates hydrogen and CO2. Carbon dioxide can either be utilized or sequestered by using the existing technologies. This process functions by selectively capturing CO2 from the blast furnace gas. The sorbents that can be used for the capture process can be utilized for a large number of cycles. Once the capture capacity of the sorbents degrades, the sorbent can be used in further processing. For example, the sorbents can be processed in a blast furnace for the production of iron or steel. Thus, the proposed method can advantageously reduce or even eliminate the loss of raw materials. This system and method can be more thermodynamically favorable and thus can save energy. The present scheme can be used for simultaneous CO2 capture, H2 production and electricity generation. Implementation of the proposed process is not restricted to any particular industry but can be significantly profitable for the iron and steel industries. Eliminates or reduce the loss of raw materials/sorbents. Avoids any chemical pretreatment steps or chemical wastes. Reduces transportation, materials and energy costs. Requires little or no external energy supply. Very minimal CO2 capture costs. For additional information about this technology opportunity, please contact Elizabeth Garami at egarami@fiu.edu or by phone at 305-348-0008 and ask about record IP 1207.